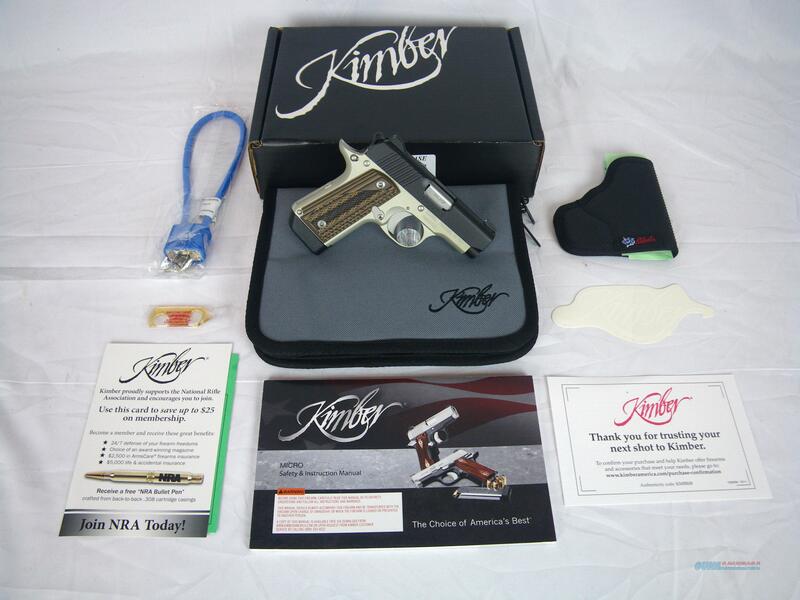 Description: You are bidding on a new Kimber Micro Carry Advocate in 380 ACP with a 2 3/4" barrel. This handgun comes with a 2-tone finish and G10 grips for a unique look. Fixed 3-dot tritium night sights offer great visibility in low-light environments. Kimber's carry melt treatment reduces snagging on clothing and holsters. Displayed images are stock photos. Any questions please feel free to ask (our phone number is in the additional information tab above).